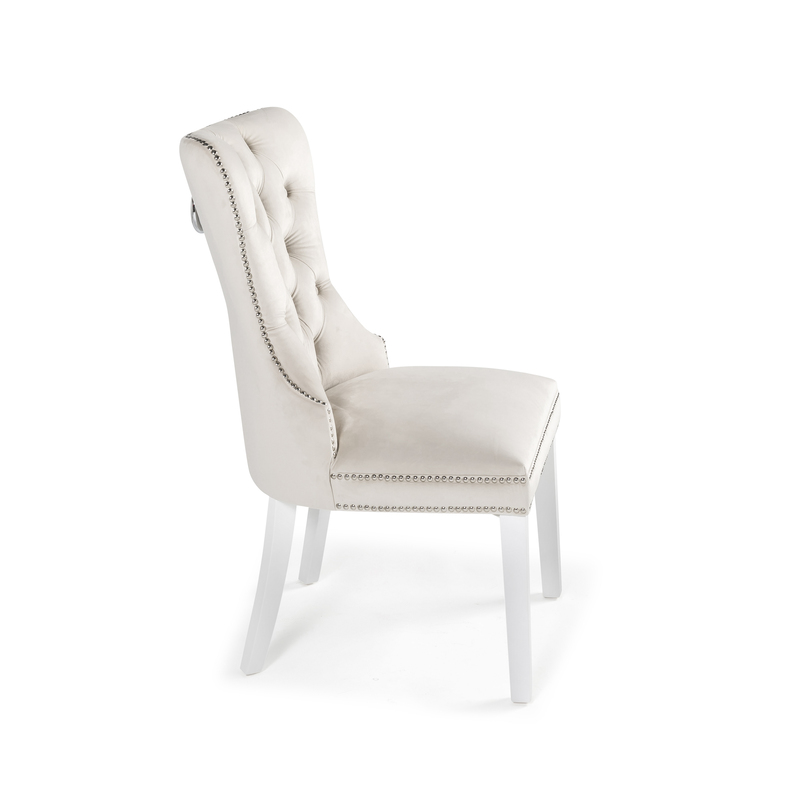 Our Hale upholstered wing back dining chairs are sophisticated and very elegant. 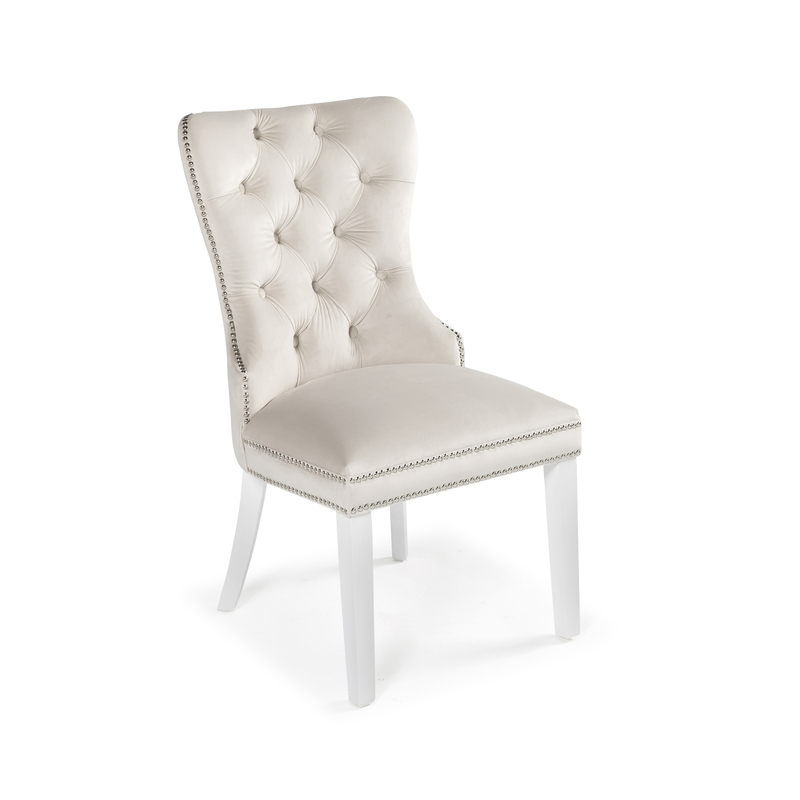 Dine in style with our latest new design, the Hale hand tufted dining chair. 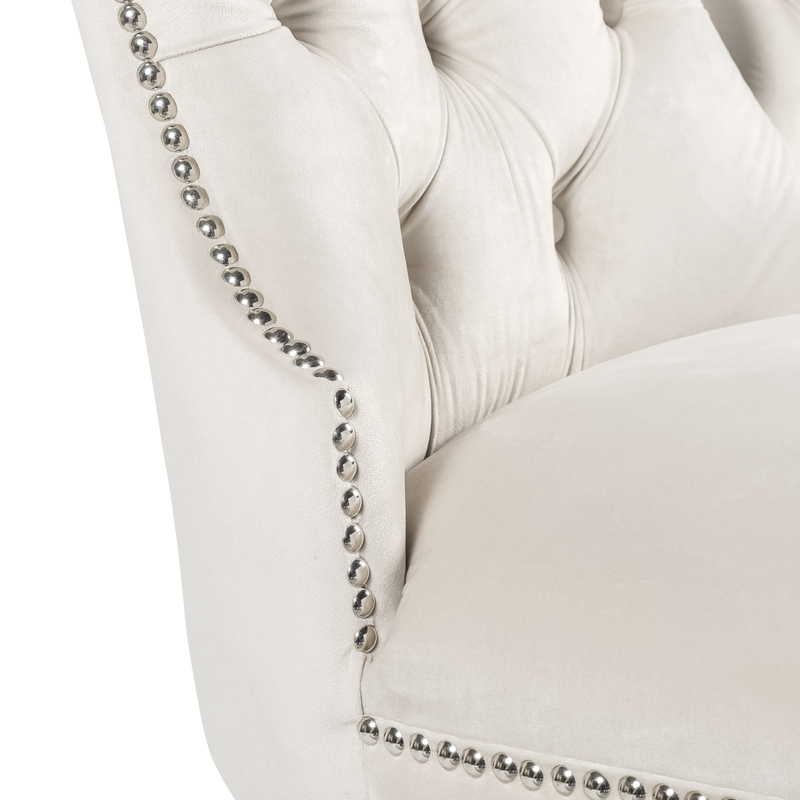 This elegant piece features a deep button-tufted back which gives the fabric a warm, rich colour and a soft surface with a dense pile and light, reflective shine. 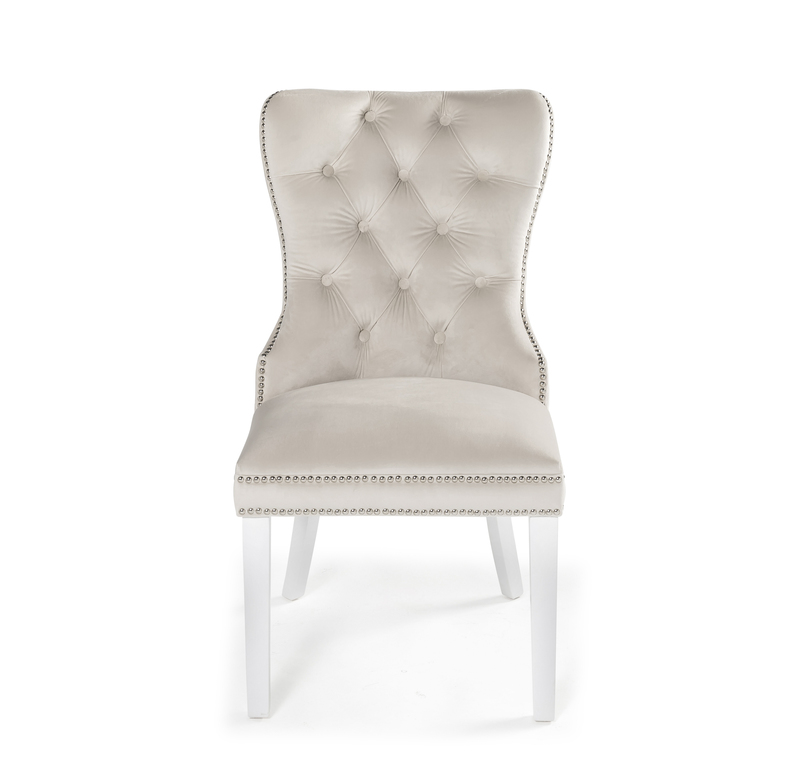 This cream brushed velvet is a soft, luxurious fabric that is resistant to abrasion and easy to clean. 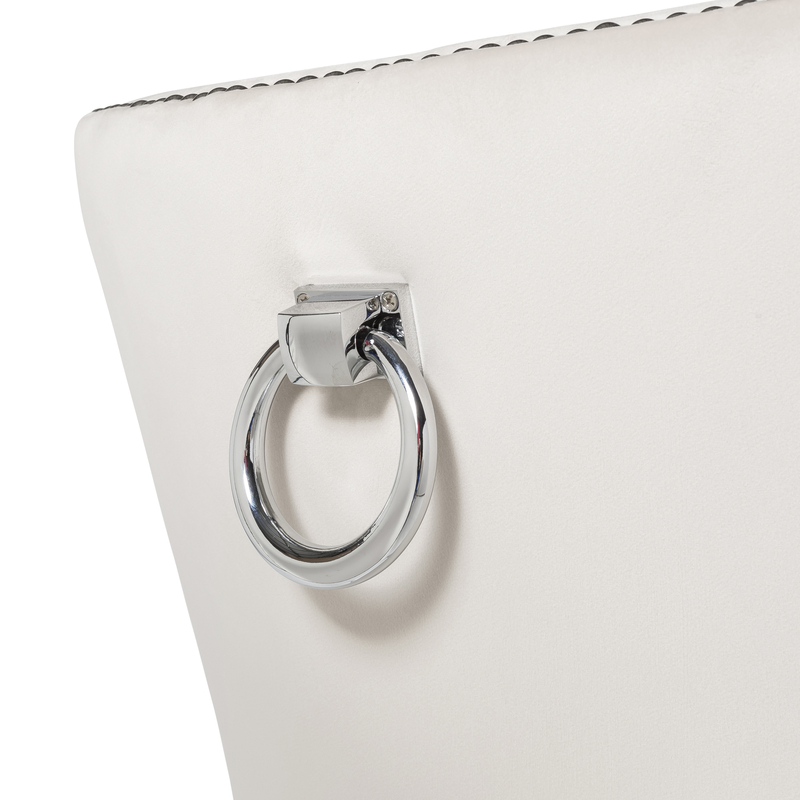 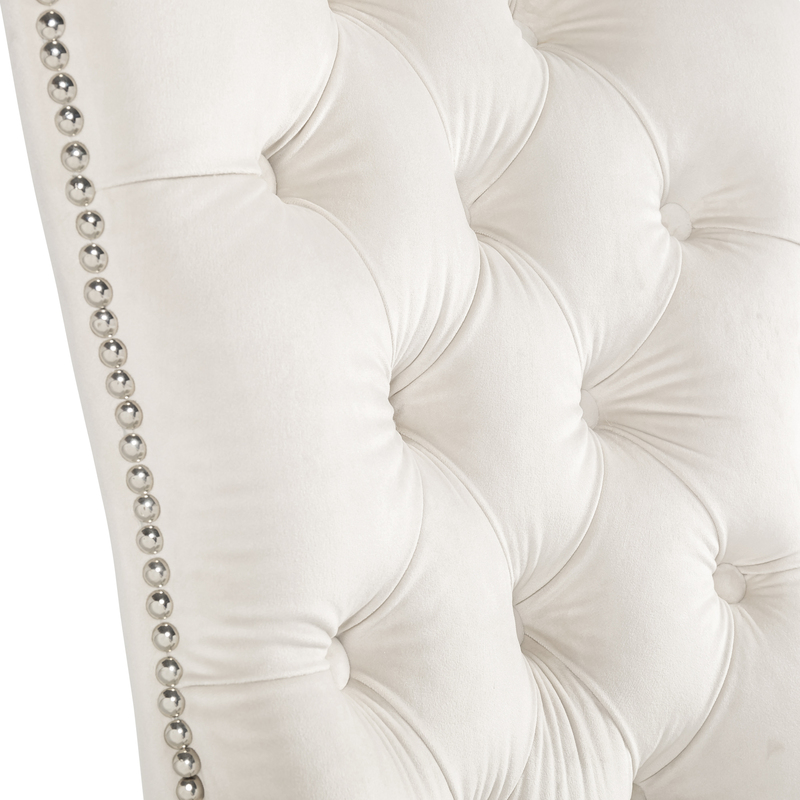 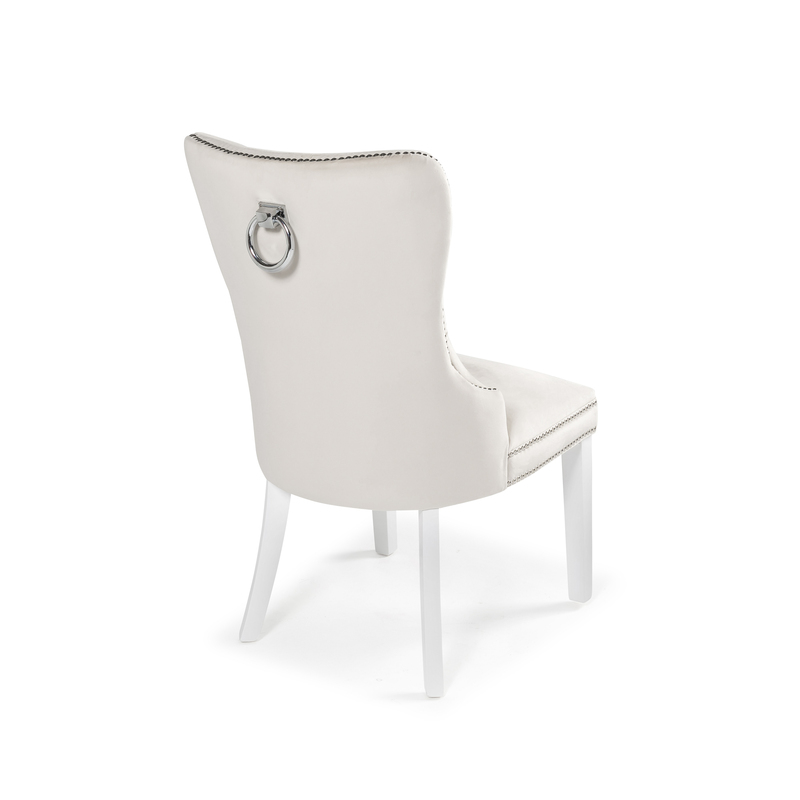 The chair itself has a luxurious deep buttoned tall backrest, with steel chrome stud edging, a large elegant shiny steel ring and are complete with white painted legs.